Universal lessons come together with vibrant spreads of Roehm’s work in fashion, flowers, table design, and interiors to create a unique celebration of the power of life and style. 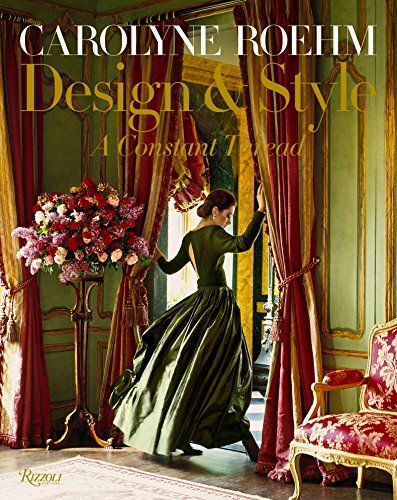 Carolyne Roehm’s bestselling books have been a source of inspiration, pleasure, and education for thousands of readers. Now for the first time she shares her life story, from her small-town Missouri childhood to her New York fashion career that began with Oscar de la Renta, to her role as an author and tastemaker. There are the influential figures from her past, including: her grandmother, who sewed beautifully and ran a successful shop; her mother, who taught her that women need clothes to suit the many roles they have to play; her mentor, Oscar de la Renta, from whom she learned the fashion business. Roehm tells the story of launching, running, and ultimately closing her own fashion line, and her subsequent reinvention through books, gardening, entertaining, and décor. Through it all she shows how the constant threads of character and creativity, and a passion for nature, color, quality, and classicism can inform your work, style, and life.